Elciego, in the south of Rioja Alavesa, is considered one of the favorite destinations for wine lovers. This town, a pioneer in the introduction of the Bordeaux methods of wine aging, has one of the largest numbers of palaces and wine cellars in Spain. Among them stands out Marqués de Riscal palace, although Elciego has more than 20 different important wineries and worth knowing. Throughout the year, is a significant place for its winemaking tradition, so now there is one more reason to visit it. 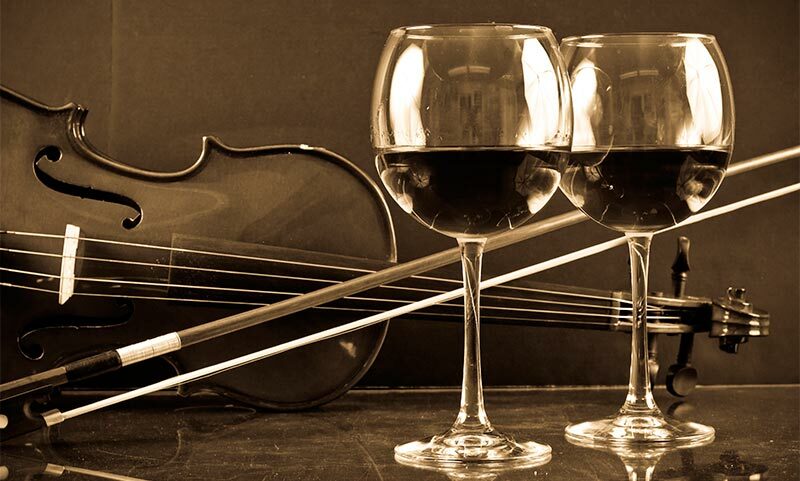 The 8th edition of Wine and Music Week in Elciego, a much-anticipated event, will take place from 13th to 19th July. The tasting presentation, from the hand of Diez-Caballero Wineries, will be hosted by the Hotel Villa on Monday at 8:00 p.m. On Tuesday, at that same time, the Taberna 1583 will receive the tasting presentation of Bodegas Lekube. On Wednesday, the event will continue at the Parque de la Encina, at 8:30 p.m., with Wine & Music, a musical tasting with Gil Nuñez and tickets cost 62 euros. On Thursday you can enjoy a theatrical tour for 3 euros. The last three days will be more focused on music. So, on Friday, after touring the vineyards in Racimotren, you can listen to the band Vientos Locos in Plaza Mayor, at 8:30 p.m. On Saturday there will be an interesting tribute to Juan Claudio Cifuentes, the main ambassador not only for Elciego wines but also of the entire Rioja Alavesa. On Sunday the event comes to an end with the performance of Rubén Ciano (Clown Tautor) and the various gastronomic and winemaking suggestions. To make the most of our getaway to the Wine and Music Week in Elciego, in addition to the activities we are offered during these days, we should go sighseeing. It is a real pleasure to wander through its labyrinthine streets where you can find amazing palaces and houses with emblazoned stone. Its center has a very rich historical-artistic heritage, in which the Parish Church of San Andrés ( 16th century), a Gothic-Renaissance building located on the banks of the River Mayor, of which the neoclassical sacristy stands out, its two pentagonal towers and the series of lowered arches over the portico. Elciego may be a small town but offers a great cultural and gastronomic diversity.